We’ve talked a lot about achievement whoring, but I want to talk to your inner-completionist. Tell me about the games that you beat time and time again and discovered every last glitchy corner of. There’s a definitive moment when you decide to complete a game instead of merely finishing it. The first time I became obsessed with completing a game would be Castlevania III: Dracula’s Curse. The game featured 4 different playable characters, and multiple routes to go through your journey to Dracula. After I met the first alternate character, Grant DaNasty, I was surprised to find I prefered to play as him more than the traditional Trevor Belmont. Grant DaNasty: The Very Fast Pirate. This led me to try out the other characters, and soon enough I had to see all of the routes and play as much as possible with every single character. The moment I knew I was sticking with this game until I found everything was when I found myself playing the game for hours with the sound turned off and I put on my own music and pulled out a notepad. It grew from being a game into a methodical set of tasks that I had to mark off of my list to ensure that I had tried everything. It’s a trait I carried over into games today, as I now I take notes on my laptop when I want to make sure I have done everything before I put the game away for good. My biggest obsessive/completionist experience was in Super Mario 64. I found myself doing a combination of speed runs and coin collecting on each and every stage. The speed runs were to beat my own time to brag about how fast I could get through each stage and grab all of the stars. Before I got to the speed runs I would make sure that I went through and took my time on each stage to collect every coin possible. 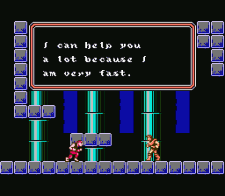 I think this stemmed from Super Mario World where I did much the same thing, but with a little less intensity. Then, I have to know did you find Yoshi? I used to do this sort of thing all the time with games, mainly because I didn’t own very many games and I had a lot of time in which to play them. I would do things like beat Street Fighter II on the SNES with every character on the hardest difficulty level. I don’t want to know how many times I had to try the Zangief vs. M. Bison fight. My favorite example of this was in Final Fantasy III (VI) where I leveled every single one of my characters up to level 99. I fought an awful lot of those asteroid spell casting T-Rexes and ‘Brachosaurs’ that would every once in a long while random drop an economizer, oh memories. I did play GTA: Vice City to total completion except for maybe all the packages as probably my last complete game experience, and I’ve gotten 100% on Symphony of the Night a couple times, but I could never match our mutual friend J. Karr’s devotion to Resident Evil. I was actually a bit disheartened to find out, years after I stopped playing Mario 64, that there was even a Yoshi in it. It never occurred to me that there would have been anything on top of the castle… who knew? To answer your question though, I did end up going back and dusting on the the N64 so I could find Yoshi and fly around a little – but by that point I already knew where to find him. 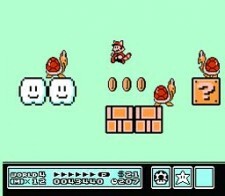 Super Mario 3 was probably the first game I’d say was a completionist on. I’ve beat that game so many times that I can’t even keep track. I know where the hammer brothers suit is. Giant world was mind blowing. I know how to make the white coin ships and mushroom houses appears, There’s a finite number of configurations in the matching game, and the bottom 3 cards are always the same. Once you know the patterns you can always clear them. I know to swim under the boat level and fly over the gunship in World 8. I could go on and on, but i think we get the point. But that’s actually the only game of that generation where I really knew that much about it. I didn’t start playing games to their fullest again until Microsoft invented those blasted achievements. I know Gears of War pretty well. I’ve beat it a rediculous amount of times, and actually went through and found all the COG tags. I’ve even walked every square inch of Assassin’s Creed and have found pretty much every flag (I don’t recommend doing this its painful). 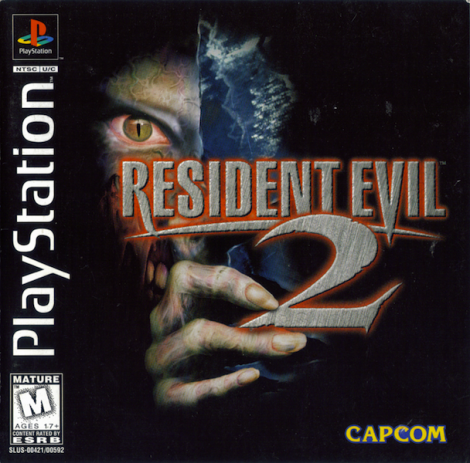 Resident Evil 2 became a job for me. I beat the game with both characters, then beat them again on the scenarios that were unlocked after completing (Leon opened a Claire game, vice versa). I killed zombie Brad, got the infinite rocket launcher and machine gun (not the gatling gun though, never knew if it was a real achievement or not) by beating the game without saving and without using first aid sprays (it was an A or S ranking, don’t remember). I beat the game in under 3 hours and unlocked both the Hunk and Tofu special missions. I completed Hunk but never got close on the Tofu stage. I probably beat that game 20 or so odd times and went back once more to find a picture of Rebecca in a file in the police station that could only be found after hitting action a bunch of times in front of a randomn desk. I think I had the same situation as Craig in that I only had a few games and tons of time. Can you beat this under 3 hours like Wizardtrain187? Don't think so. I also devoted a ton of time to leveling up my crew in Final Fantasy Tactics, but got frustrated when I found out I missed potential equipment in a few boss battles. I’ve been racking my brain the past couple of days trying to remember a game where I had to do absolutley everything and collect every item. The only game I can remember being that way with was Secret of Evermore. It was the only game developed by Square in North America and was a Secret of Mana clone that had you traveling through time. I also have to agree with Dustin on Mario 64. I would not rest until I had every star and found Yoshi. I even had dreams about that game during the time I was playing it. I think I have more of that completionist thing going now that I’m older as I’m trying to do every damn thing there is to do in Assassin’s Creed II. 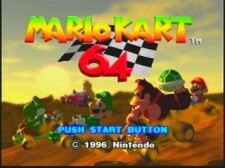 The first game that I can think of where I had to do try and complete every single task was Mario Kart 64. There was something about that alternate title screen image that was just oh so rewarding. Every time the game loaded up I was reminded of my baller status. Did you see this title screen? Baller. Plus I NEEDED every character unlock and every mirrored track. You know what Mario Kart is missing these days? The shortcuts. They made the game a lot more interesting. Remember the leap of faith Rainbow Road shortcut? It always felt awesome to pull that one off… especially when it took you from last place to first. Secret of Evermore has to be one of the worst/best games I’ve ever been a completionist at. I missed the bus on Secret of Mana and I think I tried to make up for it with Evermore even though the game wasn’t nearly as good. I pretended it was great, but looking back, it was just a grind. I tried to complete Assassin’s Creed, but Coop is right, those flags just aren’t worth it. Assassin’s Creed II on the other hand is just begging me to get all of the achievements. I don’t know what it is about that game that pulls you in, but exploring those cities is infinitely interesting. I have yet to see a completionist performance rival that of our former roomate, Justin K. That guy unlocked so much bonus content in Resident Evil (Gamecube) that it seemed like he was programmatically adding features by the end. Lately, like others, I was particularly bad about Assassin’s Creed II, collecting all the feathers and what not. Haven’t tackled all the chests yet though. Darksiders was bad for me too. In fact, still there is one single wrath core that has alluded me to such a point that I am convinced it’s a bug. It has to be. I’ve looked EVERYWHERE. In both the Mass Effect games, I made sure to explore every single planet. Completionism is a real problem for me haha, it tends to take up a lot of my gaming time. We are all over the place when it comes to games we have completely finished. From Super Mario Bros. 3 to Darksiders, many different types of games have sparked our inner completionist. What drives us to abuse ourselves like this? Do we love that particular game or does the fact that we couldn’t afford to own all of the games we wanted, drive us on this absurd path? Any of you out there have the same problem? ← The Horrible Show 09-01-10: Does August 2010 Matter?